Marvel Studios’ Avengers: Infinity War became the second highest grossing film of all time at the South African Box Office. This means that Marvel Studios now holds the number 2 and number 1 film of all time positions at the local Box Office, following Black Panther’sunprecedented record-shattering run since it’s 16 February 2018 release. 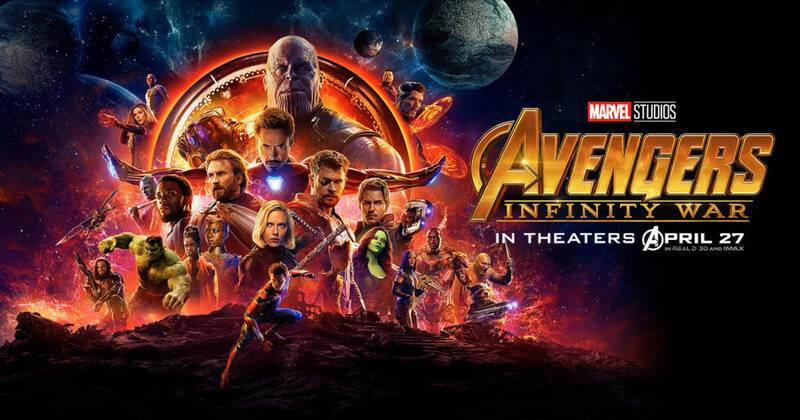 In South Africa, audiences continued to assemble in cinemas to witness the cinematic journey ten years in the making, earning Avengers: Infinity War a current total box office tally of just under R73 million with over 874 000 attendances. Black Panther’s historic box office journey ended in June and now boasts a final box office total just shy of R107.5 million and over 1.43 million attendances, making it the biggest film of all time at the South African box office and the first to cross the R100m mark. This record builds on Black Panther’s list of achievements on the African continent and is the biggest grossing film of all time not only in South Africa, but also East and West Africa. Black Panther is now available to enjoy on DVD and Blu-ray, as well as to digitally rent or buy from retailers and providers across the continent. Elsewhere in Africa, Avengers: Infinity War has also raked in a total of Kes 66.9m in East Africa, making it the 2nd highest grossing film of all time behind Black Panther. Similarly, in West Africa, the film hit N450m at the box office, making it the 2nd highest grossing international film of all time, also behindBlack Panther. For Marvel Studios fans, the action and adventure continues as the 20th film in the Marvel Cinematic Universe, Ant-Man and The Wasp, hit cinemas this past weekend and created enough buzz to fly into the number one position at the South African Box Office. On the animated front and with its own super hero theme, Disney•Pixar’s Incredibles 2, continues to entertain families across the country and is already Disney’s second-highest grossing animated film of all time behind Finding Dory, after only 3 weeks in release.